Mirror neurons are pretty cool. Clearly, they are important (or implicated) in everything from learning new physical skills to the experience of empathy. However, as much as I like VS Ramachandran, I suspect these little brain cells are being given far too much credit. Here is the press for his TED Talk (watch it below). Ramachandran is the director of the Center for Brain and Cognition at the University of California, San Diego, and an adjunct professor at the Salk Institute. He is the author of Phantoms in the Brain (the basis for a Nova special), A Brief Tour of Human Consciousness and The Man with the Phantom Twin: Adventures in the Neuroscience of the Human Brain. A few months ago, a construction worker named Wesley Autrey leapt in front of a moving subway train in New York City to save a stranger who had just collapsed onto the tracks. Five days later, the New York Times speculated that this act of apparent altruism—"I just saw someone who needed help," Autrey said—might be explained by a bunch of cells thought to exist in the human brain, called mirror neurons. The idea that these particular cells might underlie a fundamental human impulse reflects the emergence of a new scientific myth. Like a traditional myth, it captures intuitions about the human condition through vivid metaphors. This isn't the first time that popular science has merged with the popular imagination. In the 1960s, for example, pioneering work on "split-brain" patients revealed real functional differences between the two cerebral hemispheres—an idea that quickly became a metaphor for ancient intuitions about reason and passion. Mirror neurons have become the "left brain/right brain" of the 21st century. The idea that these cells could make a hero out of Wesley Autrey began with a genuine and important discovery about the brains of macaque monkeys. 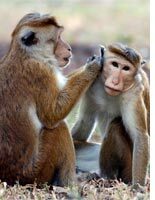 In the late 1980s and early 1990s, neuroscientists found a population of cells that fired whenever a monkey prepared to act but also when it watched another animal act. 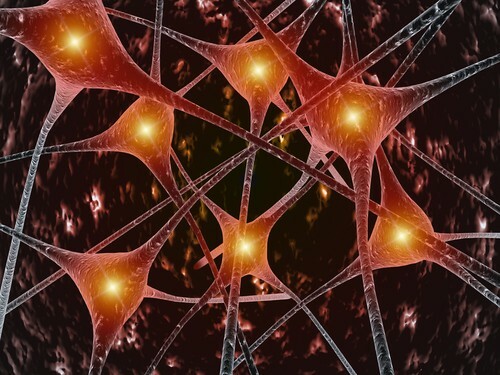 They called these cells "mirror neurons." It didn't take long for scientists and science writers to speculate that mirror neurons might serve as the physiological basis for a wide range of social behaviors, from altruism to art appreciation. Headlines like "Cells That Read Minds" or "How Brain's 'Mirrors' Aid Our Social Understanding" tapped into our intuitions about connectedness. Maybe this cell, with its mellifluous name, gives us our special capacity to understand one another—to care, to learn, and to communicate. Could mirror neurons be responsible for human language, culture, empathy, and morality? First, it suggests that we can generalize directly from other animals to people. The evidence for individual mirror neurons comes entirely from studies of macaque monkeys. That's because you can't find these cells without inserting electrodes directly (though painlessly) into individual neurons in the brains of living animals. These studies haven't been done with chimpanzees, let alone humans. Second, the myth suggests that brain structure is innate. It assumes that we're born with these special cells that then allow us to connect with other people. Similarly, the discovery of differences between gay and straight brains made people think that being gay was genetic. But we know that almost everything about the brain, including the tuning of individual neurons, is shaped by experience. It makes just as much sense to think that gay and straight people have different brains because they've had different sexual experiences. Third, the myth leads us to believe that brain-imaging studies can tell us what neurons do. Despite all the enthusiastic press coverage, no one knows for sure if humans even have mirror neurons. FMRI machines can't provide any definite answers, because imaging studies, unlike the electrode studies in monkeys, don't measure the electrical activity of individual neurons. They tell us about the oxygen use of sections of the brain with many hundreds of thousands of individual neurons. These are fascinating and important results. But they tell us about the functions and connections of large portions of the brain, not about individual neurons. Moreover, this mirror system is quite separate from the parts of the brain that are activated in language and everyday social understanding. And this kind of large-scale brain organization, like the tuning of individual neurons, is itself likely the result of experience. A fourth misconception perpetuated by the myth holds that a single type of cell can be responsible for a single type of experience. Could the human "mirror system" work because it's made up of lots of mirror neurons? No. Experiences and behaviors are never going to be the result of just one kind of cell, or even several kinds. More than 40 years ago, scientists used electrodes to record from individual neurons in the visual system of cats. They found a group of cells that responded distinctively to certain kinds of shapes, and they called them "edge detectors." You might think we see edges because our edge detectors fire. But decades of research have shown that the real picture is much more complicated. Something as simple as seeing an edge results from a very complex pattern of interactions among hundreds of different types of neurons. You can imagine how many types of interacting neurons it would take to drive a social behavior. The intuition that we are deeply and specially connected to other people is certainly right. And there is absolutely no doubt that this is due to our brains, because everything about our experience is due to our brains. (It certainly isn't due to our big toes or our earlobes.) But it's little more than a lovely metaphor to say that our mirror neurons bring us together. Another perspective from The New Scientist: Role of mirror neurons may need a rethink. OK, now you can watch Ramachandran preach the mirror neuron gospel. Just wanted to be sure this was a balanced presentation on this topic.